To properly utilise your devices, you must stop these 5 terrible device habits that have cost people good health and their lives. You should in fact stop these 5 terrible device habits immediately after you read this article. 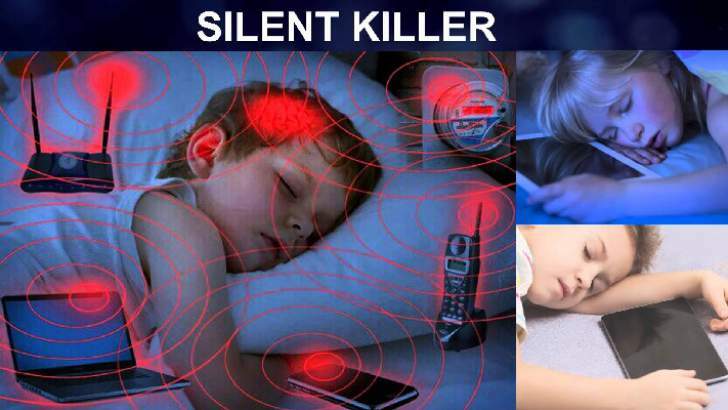 The other day, we published an article on most ideal accessories for receiving calls, stating that thermal and radio waves from phones are harmful to the brain. Well, thermal and radio waves are not the only risk you could be exposing yourself to. You can be exposing yourself to an explosion and risk of fire outbreak. Who knows where you might be, and what you could be doing when this happens. If you are lucky, you will be asleep when this happens and yes, you could suffocate and die. News have reached us from various sources, telling us how peoples’ carelessness with power banks and similar others have caused serious skin injuries, loss of life and properties. It doesn’t stop there. Because of excessive use of PDAs, people have lost their sight, relationship, and have wallowed deep in their imaginations. in a bit, we will explain 5 terrible device habits you must stop. When you stop these 5 terrible device habits, your productivity will increase, and you will live a healthier, wealthier and happier life. Hey Tommy, wake up! you are drooling. Your saliva has soaked the keyboard; I think it’s found a way to your motherboard. Some cute sisters tell you this jokingly. What if this happens for real, would you muster 300,000 for a new laptop? Look, you got to stop forcing yourself to work, you are human, and humans are not machines that only heat up. 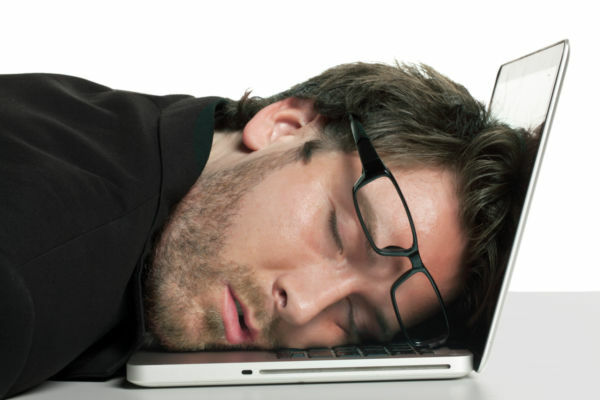 When you realise you are sleepy due to exhaustion, you should shut down your laptop. The idea of working with sleepy eyes don’t make any sense. You are simply reducing the time you have to rest your brain, and risking the eyes and the brain. Psychology videos on YouTube state that it is unhealthy to work the brain more, when you should be resting it. It leads to forgetfulness and similar other long-term problems. Do not be deceived, at this point your productivity is between one and zero, there’s no forcing it, you need to rest. Instead of doing this, you should close the lid, unplug the charger, and sleep. This way, you are both saving yourself and your laptop from possible damage. Because people do this frequently, we included it among the 5 terrible device habits you must stop. 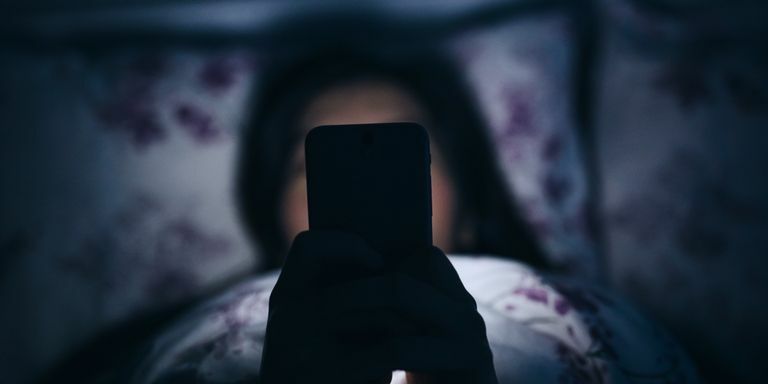 One of the 5 terrible device habits you must stop today is sleeping off while operating your phone. 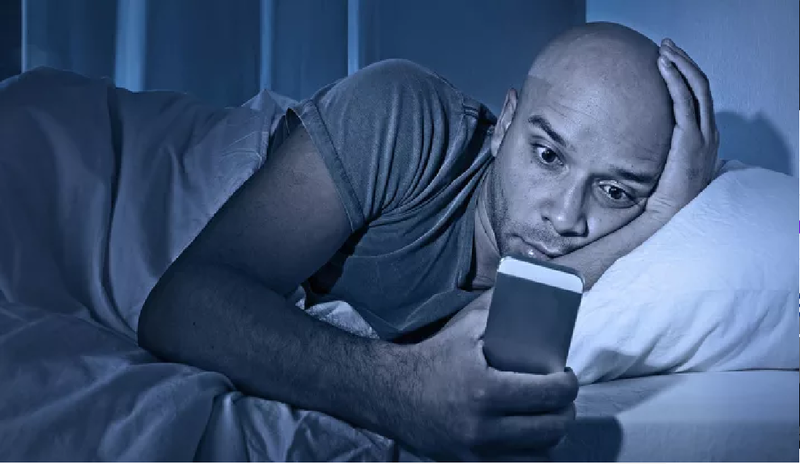 Apart from the aforementioned, another bad device habit you should stop today is sleeping off while operating your phone. You think it doesn’t have disadvantages, but it does. When you sleep off with your phone in your hand, it falls off, and you roll on it. When you lay on the phone, you close the vents, making it impossible for heat to escape. The effect of this is, the phone heats up, and your body absorbs thermal radiation from your phone. You do know how dangerous this is. On the part of your phone, excessive heat trapped in could cause a battery explosion or similar others. The solution to this is, immediately you feel sleepy, gently place the phone on your cabinet. If you are tired and can’t reach the cabinet, stretch your hand and keep the phone somewhere far from your head. Many times, people have been advised against this practice. But for some reasons, they still indulge in it. If you must save your eyes from an inevitable damage, you should desist from such practice. The growing rate at which people indulge in this practice made me include it among the 5 terrible device habits you must stop. The solution to this is, you provide an external light source at night when light is out. If you do not know how, here are few suggestions. Buy a keyboard light. This keyboard light is not exactly for the keyboard this time. The purpose of the keyboard light is to lighten the room, thus, reducing the effect of the screen light on your pupil. For your mobile (phone and tab) you can reduce your screen brightness to the lowest. This way, the intensity of light shining into the pupil of your eyes is reduced. You should also reduce the brightness of your laptop screen. It doesn’t only save your pupil; it saves you some battery juice. I do this a lot. Even though I know it’s a bad practice, I will most likely do it again tomorrow. I’m so engrossed with whatever is on my screen. Sometimes, I proof read articles while walking. The reason why I do this is to see if my articles are as interesting and captivating as I want. Furthermore, because I read slowly while walking, I find errors because I won’t be skimming or predicting words. Sometimes, that’s the best time for me to read news, and watch timelines. I know it’s bad, and I’m telling you it’s bad. The time you walk on the road should be for catching up with activities on the street, greeting people and familiarising with people in your environment. You do know that your success sometimes depends on the relationship you have with people in your environment. Since you can easily reach them, building a strong relationship with them increases their trust. When you’ve earned their trust and they know what you do, they look out for you and quickly refer you when they hear of an opening. Apart from the aforementioned, if there be any harm, you will get notified by your neighbours. No wonder people who know this always find time to socialize with neighbours when they move in. 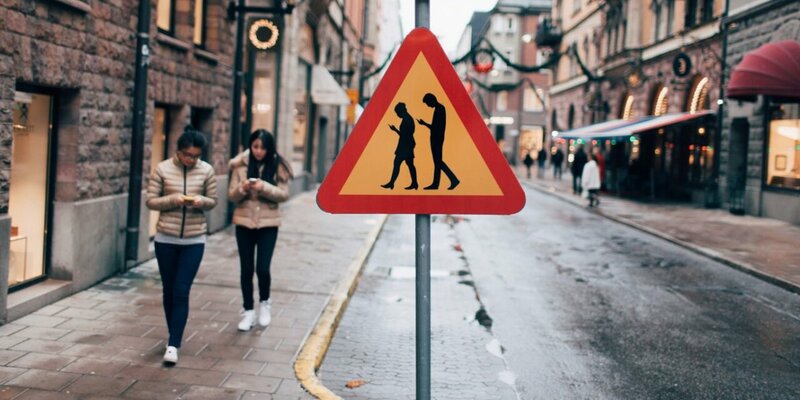 In my opinion, you should stop using your phone while you walk on the street. When you leave your home, immediately put that phone in your pouch or pocket. If your notifications keep coming, turn of your data network. When you get to your destination turn it on. If this is difficult to do, leave your smartphone at home and take only your basic phone with you. If you have many people seeking attention, update your status letting them know your moves. You don’t know what to update? Simply type brb (be right back) or state what you’re out to get. You shouldn’t leave a chat hanging. If possible, state a time when you will be back. Before the advent of social media and technology, people had better relationships. True that the internet made communication even better, you must agree that talking to people in person still has a better effect than texting or calling. The reason for this is, apart from replies and responses, other factors like smile, silence and touch, strengthens relationship. For business, when you talk to people directly, you can determine their interest from their body language. You can quickly spot lies from the eyes and gestures they make. That’s not all, direct conversation with people build trust. Although they normally won’t harm you, there’s this assurance people feel when they see you. I met a business owner once, and ever since, we’ve been relating like we’ve known each other for years. That’s the power of direct/physical conversation. Why then should you totally neglect direct conversations with people? A quick fix is, make sure you meet at least one of your clients every two weeks, and every week if you don’t have very tight schedule. With time, you will make plans for two meetings every week, and one everyday eventually. 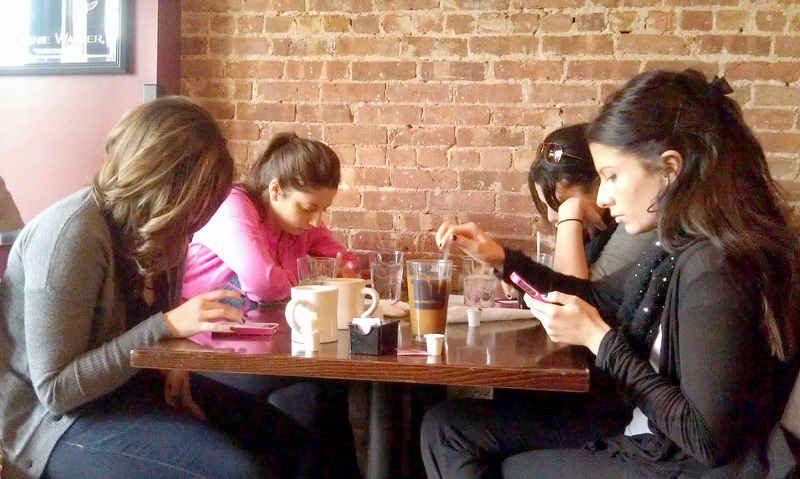 To Stop these five bad device habits today, you really need to discipline yourself. Without discipline, these five tips aforementioned are useless. I in fact should have made Discipline number one. Well, for entrepreneurs, discipline is a common virtue. Although we listed just five, there are still more. With time, this post will be updated. To get notified on updates, you must be subscribed to our blog. Please find the subscription form below. If you find anything useful on this topic, please share with us by commenting below, so we can update this post immediately. If we missed something, please let us know so we do not misguide other readers. Did you find this post interesting? Great! Please use the share buttons below to share the post with your followers and friends on social media. No doubt, they will equally find it useful.